Any water damage to your home requires prompt action. By contacting knowledgeable and skilled professionals, a fast response time can drastically reduce both the destruction water inflicts on your property and the cost of restoration. At Southeast Restoration, we understand that you need someone to be there right away to assess and explain the situation and we offer 24/7 emergency service so we can be there when you need us most. When you call Southeast Restoration, you will benefit from our extensive experience in extraction and drying. Our certified technicians will work quickly to address the source of the water, to locate any hidden leaks, and to develop a strategic plan for affected areas before any more devastation can occur. No matter the size, source, or scope of the water situation, our team is here to help. 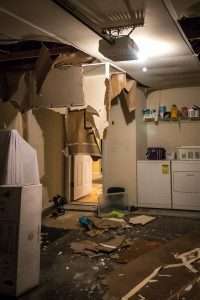 We understand how upsetting water damage can be. We also recognize the danger to you and your family when the water affecting your home is contaminated. Our team of professionals will immediately assess the situation and protect you and your home from further damage. Category 1 is water that escapes from a clean and sanitary source such as faucets, toilet tanks, drinking fountains, etc. 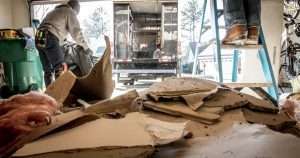 Carpeting, personal belongings, and other soft goods can usually be professionally dried and restored, however, category one can quickly degrade into category two if not dealt with right away. 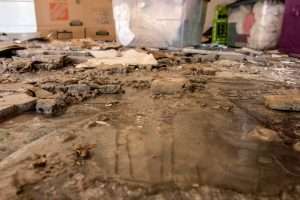 Category 2, or grey water, water is contaminated with chemical, physical, or biological elements or water that travels through another material such as insulation, drywall, etc. that may cause illness. Sources include dishwasher or washing machine overflows. This type of water damage requires additional cleaning and decontamination steps be taken to prevent illness. Category 3 water contains significant pathogens and is grossly unsanitary. It could cause severe illness or death if ingested. Also called “black water,” Category 3 water includes sewer backups, flooding from rivers or streams, toilet overflows, or stagnant liquid that has begun to support bacterial growth. How Do You Know You’re Choosing the Right Water Damage Restoration Company? We will work directly with your insurance company on covered losses so your property is restored back to normal as quickly as possible. Contact us as soon as your property has been impacted by water damage and we will immediately dispatch a team to your home and begin extracting and drying any water affecting your property.